When you're launching a website in the health and beauty industry, it makes sense to ensure your online presence matches the service you are trying to provide. In other words, your spa or skin care website should be attractive and compelling! 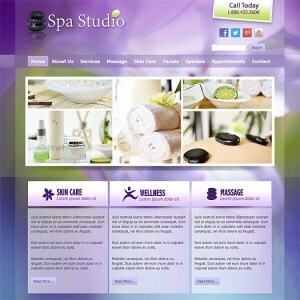 That's exactly what we've aimed to produce with this new responsive spa studio WordPress theme. And not only will your skin care/spa business be welll represented with this theme, but you'll find that the user-friendly CMS admin panel makes managing your website a simple, straightforward experience.